A MOTHER has hit out after she was left waiting for hours for a call back as there was no doctor on duty at the local Out of Hours GP service. The woman, who did not wish to be named, contacted the Herald after the incident earlier this month. A spokesman for the Health and Social Care Board confirmed there had been no GP cover on the Tuesday night the mother had called the Out of Hours service. They added there had been cover in place for all other evenings that week and at the weekend. The spokesman said the Western Urgent Care (WUC) had approximately 108,000 patient contacting the service each year and “availability is a considerable challenge.” They stated the WUC had recently introduced a number of initiatives to tackle the issue, such as bringing in more nurses and a mix of clinicians. 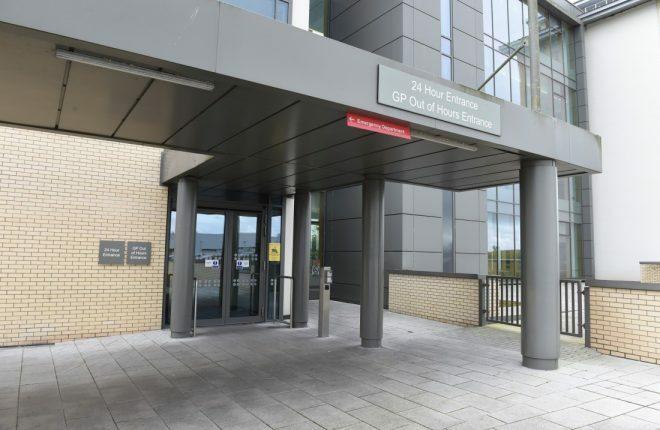 “On occasions when it is not possible to provide GP cover at an Out of Hours base patients may be offered advice, an appointment to be seen by a GP at another Out of Hours base, a home visit or referred to another service such as an emergency department,” said the spokesman. They continued: “All GP Out of Hours service providers have targets for urgent calls to be triaged within 20 minutes and routine calls within 60 mins. There is however no absolute time limit for a call back due to the impacts of demand and capacity. The level of urgency of an Out of Hours call is prioritised by the call handler based on the details given by the caller. Emergencies are transferred directly to 999 ambulance; all other calls are prioritised as urgent or routine. Urgent calls are prioritised above routine calls.